Dragon Ball FighterZ, the upcoming fighting game developed by Arc System Works, has received today a brand new trailer showcasing another addition to the roster. The new trailer, which can be watched below showcases Gotenks, the powerful warrior who’s actually the fusion between Goku’s son Goten and Vegeta’s son Trunks. 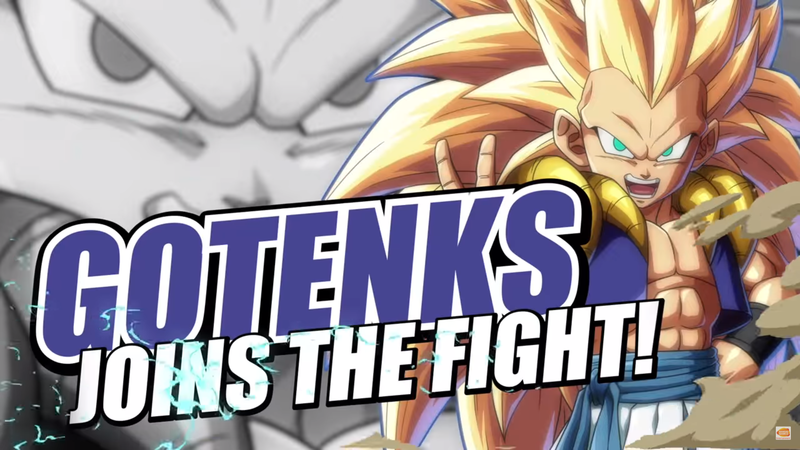 “FUU-SION-HAA!” Gotenks has joined the fight! This powerful fighter plays by his own rules so watch out! Get in on all the fusion action when #DRAGONBALLFighterZ launches January 26th 2018! Dragon Ball FighterZ final release date for North America and Europe has been revealed last month. Shortly after the announcement, the game’s Steam page has gone live, confirming the game’s minimum requirements. Dragon Ball FighterZ will allow players to play through a brand new Story Mode featuring a new character, Android 21, whose creation has been supervised by Akira Toriyama, create teams of three fighters and more. Dragon Ball FighterZ launches on PC, PlayStation 4 and Xbox One on January 26th.